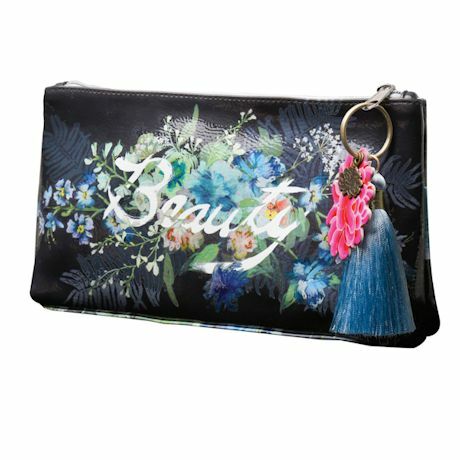 With "Beauty" on the side, this bag is pretty enough to carry for every day as a clutch, but is also perfectly sized for filling with makeup or jewelry for those get-away times. Laminated cotton blend. A luxurious, silky tassel zipper pull; luxe satin lining. Imported. 10" x 5 " x 2".